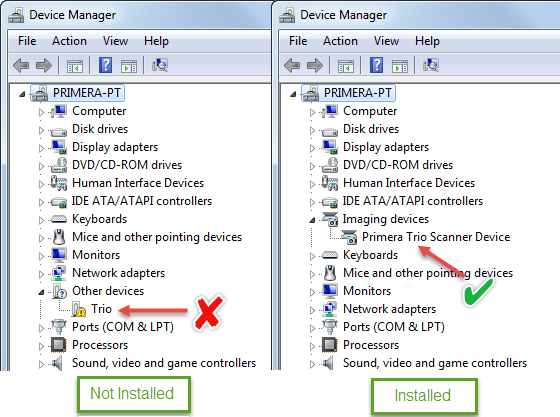 Scan and Copy will be grayed out if the scanner driver is not installed or the WIA Service is not running. 1. Check to make sure the Windows Image Acquisition (WIA) service is running. Search for "Services". Open the services application. Make sure it is "Started" and the startup type is set to "Automatic". Right click on the service and choose "Properties" to change the settings. If the WIA service was not running during initial installation you may have to run the Trio installer again after it has been started.